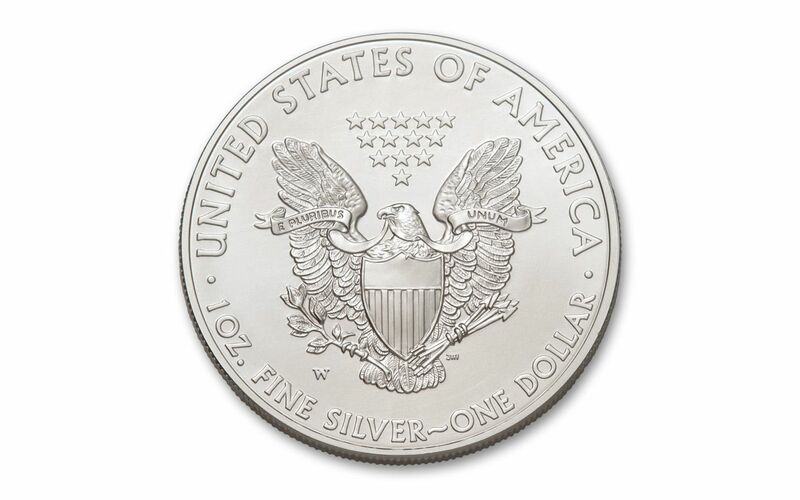 There's no doubt the American Silver Eagle Dollar is one of the most sought after collector coins in the world. 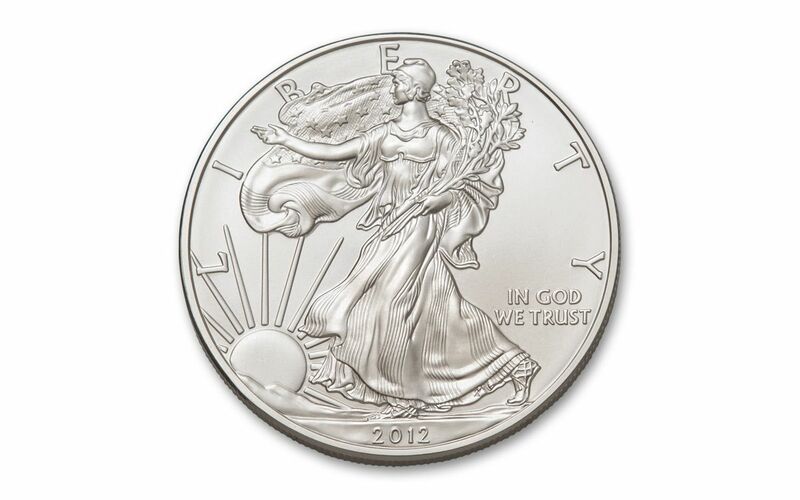 Now you can add this very special 2012 Silver Eagle to your collection. 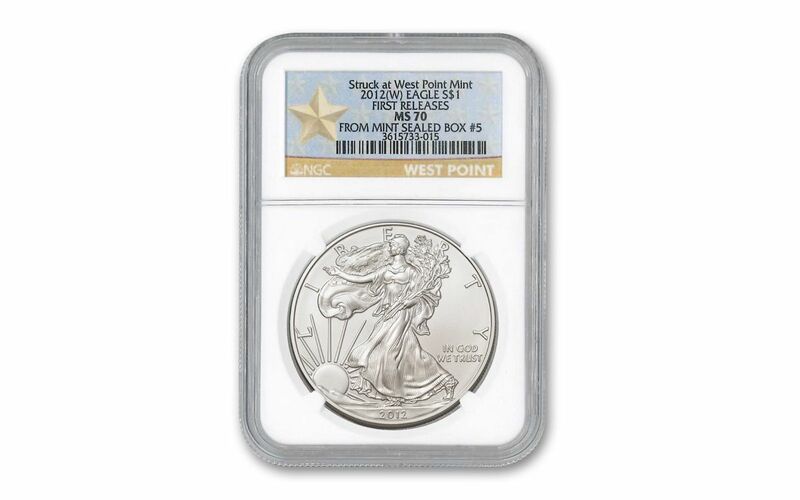 It was struck at the West Point Mint in one ounce of pure silver and features the spectacular 'Walking Liberty' design on the obverse and a John Mercanti-designed eagle on the reverse. But this Silver Eagle Dollar has much more going for it. Numismatic Guaranty Corporation (NGC) graded the coin as flawless perfect Mint State 70 (MS70), the highest possible grade a coin can receive. They also certified it to be from the fifth box released from the mint. Of the millions of coins released in 2012, this coin is from the first 2,500! This earns it the coveted 'First Releases' designation from NGC. 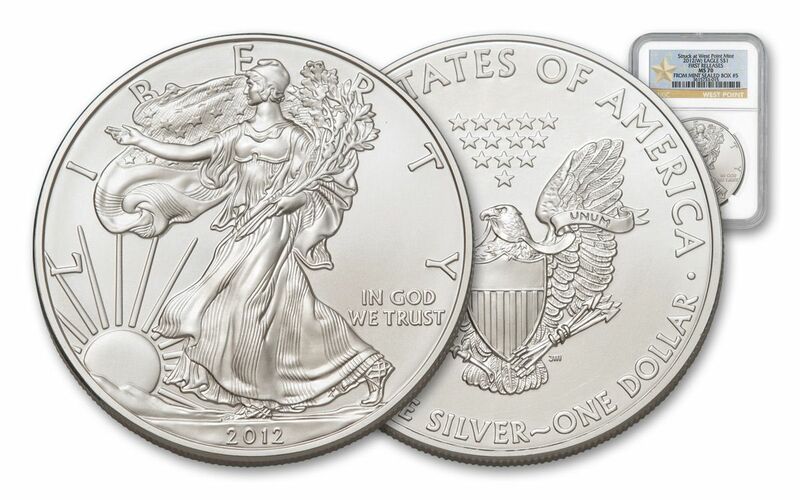 Add this special Silver Eagle Dollar to your collection now. This 2012-W Silver Eagle dollar has everything going for it. It's the most popular collectible Silver Dollar in the world, it has once ounce of 99.9% silver and is perfect-graded MS-70 First Releases (MS 70 FR) by NGC from Box #5.